A joyful slow vinyasa flow to enter the Christmas period with smiles, calm and relaxation. 1hr flow with 30 min yoga nidra (yogic sleep) at the end. Mixed level. Hot Herbal Tea and cookies to enjoy afterwords. 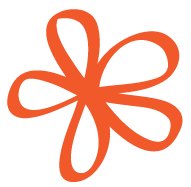 BRING a mat and blanket for yoga nidra. Please book your slot asap to avoid disappointment. A heart warming New Year Yoga happening to activate your body, intention and true potential for 2014! 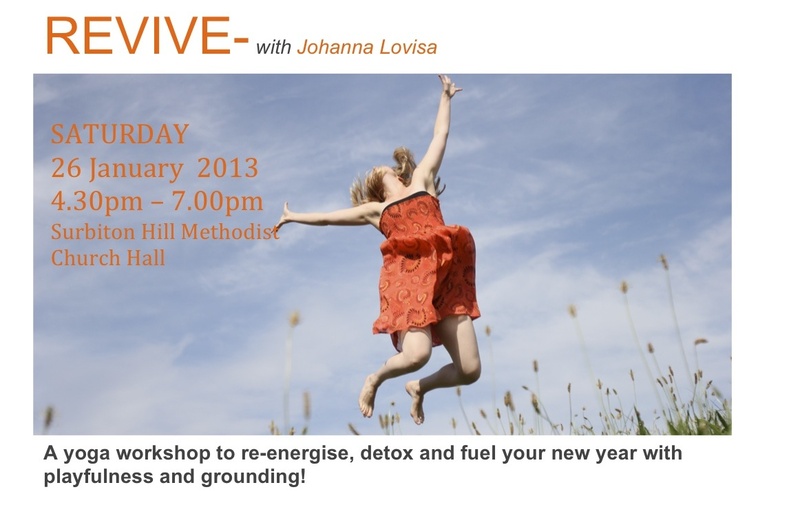 Join Johanna for a warming and joyful workshop in January 2014. This is a moment to recharge and reinstate your energy and self for the year ahead. Together we’ll smile, open and awaken!! Johanna will round off the practise with a seated calming flow and YOGA NIDRA (Yogic sleep) to set your awakened intention for 2014!! Fee: £20 – Early Bird until 31 Dec, £25 there after. Please bring: Mat, Blanket, Warm Socks and Jumper, Props if you have any. 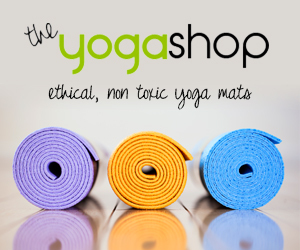 – A total relaxing yoga experience. After a week of hard work and demands, this 2hr session is the perfect way to relax before your weekend! A playful introduction of laughter and movement will lead you into a safe place of stillness and letting go… We will focus on restorative postures with supports, which helps us to soften into the stretches. Some postures will be he held over 5 -10 min, which helps relieve the stress we accumulate in daily life, this also helps during fatigue, illness and emotional times. We will make sure that the spine will move in all directions which will also help activate the internal organs. This is a perfect way to regain your energy and restore for the weekend!! You will receive hand outs for postures to do at home. Suitable for all levels-complete beginners too. A yoga workshop to re-energise, detox and fuel your new year with playfulness and grounding! Join Johanna for a fun and playful workshop where you will refresh and nourish your body and mind. With your Intention (sankalpa) for the year ahead, together we will focus our energy in the right direction. Pranayama (Breathing) will re-instate the connection with the earth and ourselves. We will slowly warm up for the flowing sequence to come… where the focus is on alignment, so that our energy can flow freely during our standing poses. During our balances we are reminded not to take ourselves to seriously and approach things with a smile! After the festive season we will include twisting to detox our body and to return to our powerful centre, we will awaken our spine with backbends and inversions. To conclude the workshop we will finish with a long nourishing deep relaxation, bringing mindfulness to our intention. Move from winter hibernation, REVIVE, rejuvenate and spring into 2013! !